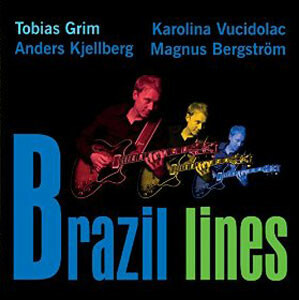 The reputation of guitarist Tobias Grim, despite the possibility of having a folkloric Swedish repertoire will rest largely on this extraordinary album Brazil Lines. His astutely composed Brazilian music is well deserving of high praise, and his guitar-playing, which soars above the generic work of many guitarists of his generation, also deserves to be better known. Perhaps now that he has a record that is more widely available, he will travel more to venues outside of his native Sweden where he will be lionised by critics and listeners alike. Indeed Tobias Grim plays like a musician who is truly inspired and inventive. Some of his best pieces on this album are Brazilian in their form and substance and here it must be mentioned that he plays like a local Brasilian. Mr. Grim understands Brasilian rhythm intimately and here he is aided and abetted by his gorgeous-voiced singer Karolina Vucidolac. Both these musicians are also backed up by sensitive performances by the bassist Magnus Bergström and the exquisitely tasteful drummer Anders Kjellberg. The most significant pieces on the album are the vocal ones including the opening number “Para Theo” and “Tania” an oblique tribute to the Brasilian pianist and vocalist, Tania-Maria, and a piece that features some dazzling scatting by Ms. Vucidolac. The ten compositions, all of which feature the artful work of Mr. Grim, are unconventional in their structure. The guitarist makes the most of his ability to write music with deceptively simple openings that lead into gorgeous rhapsodic middle sections (that feature soli by himself, his bassist and drummer) and lead to rather grandiose conclusions. The music sounds exquisitely contemporary and blends Brasilian modes and rhythms into a contemporary idiom with great subtlety. 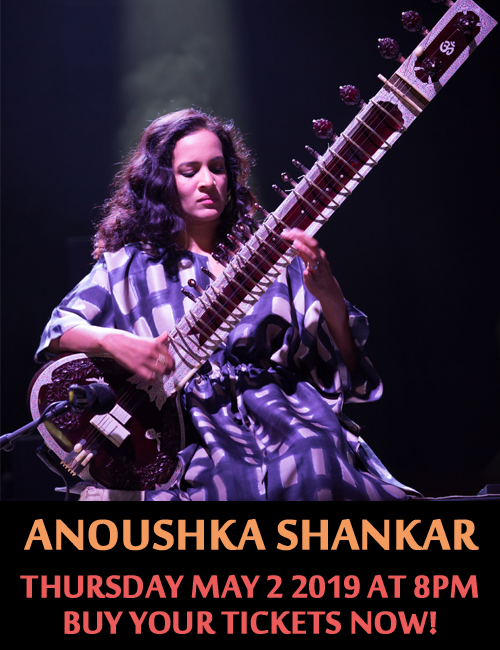 Throughout the guitarist’s tone is diapason-rich, yet clear and always exciting. His lines are like elaborate, bejewelled necklaces that adorn the vocalist in her quest to become the beautiful singer that she always ends up being. Mr. Grim has a special brand of poetic intensity. How thoroughly refreshing it is to also experience his profound talent which manifests itself through minute ingenious fluctuations of texture and revelatory harmonic tectonics. You will find something special to enjoy, discover and identify with no matter where you look on this recording. The eloquence of the music speaks to the heart. The voicings interpolated into the music by guitarist, bassist and drummer are expertly balanced. Each musician “sings” with wonderful abandon and the musicianship of all three of the instrumentalists is absolutely scintillating. Add to that the utter brilliance of Ms. Vucidolac whenever she sings and you have a compelling reason to listen to Brazilian Lines over and over again for the performances of all of the musicians get under your skin the moment you hear the first chart on the album. All of this adds up to great expectations from what might come next from this wonderful group of musicians. Track ListTrack Listing: Para Theo; Ishmael; Consciente Amor; Cantar; Autumn; Brazil Lines; Tania; Mother; Deturn; Pra Chega. Personnel: Tobias Grim: electric guitar, acoustic guitar; Karolina Vucidolac: vocals; Magnus Bergström: bass; Anders Kjellberg: drums. 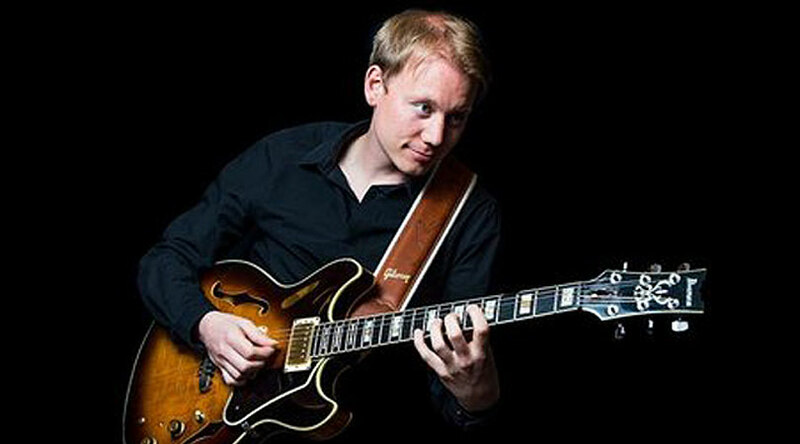 Composer/guitarist Tobias Grim formed his quartet in 2010. It features the beautiful voice of Karolina Vucidolac, together with the lyrical bass of Magnus Bergström and brilliant drummer Anders Kjellberg. The band is based in Gothenburg, Sweden. The band first toured locally, in the north of Sweden, but is now ready to take on the world. Thank you for the review Raul!